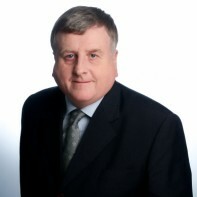 Brendan Kenneally was first elected to the Dáil in 1989. He was successful in his attempts for re-election in 1992, 1997, and 2007, but failed in 2002. Kenneally is married to Martina Crotty, they have 4 children. Brendan is the son of Bill Kenneally TD from 1965-82, and grandson of William Kenneally TD from 1952-61.